Confession time: I bought this game, just because I wanted to review it. The name alone baited me and I took it hook, line, and sinker. I ponied up my $6 (it was 25% off opening weekend on Steam) and downloaded it to honestly see if it was as bad as I expected, showing severe bias one way or another to the warring factions on social media. Well, it wasn’t that bad but that doesn’t mean it’s a great game either. 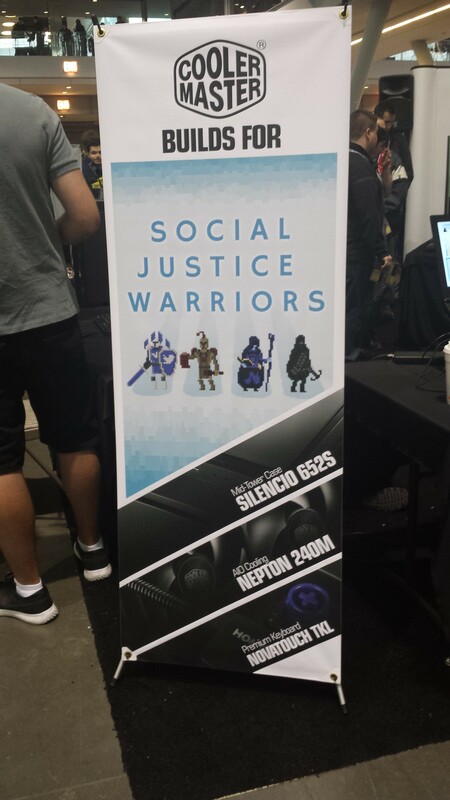 Developed by Nonadecimal Creative, “Social Justice Warriors is a satirical role-playing game that transforms the standard medieval fantasy heroes of RPGs into social media crusaders facing an endless horde of internet trolls.” You can choose to play as one of four character types: Social Justice Paladins, Clerics, Mages, or Rogues. During game play you and the troll type wildly at your computers, battling to reduce the troll’s sanity and/or reputation to zero, and thus leveling your character. At the same time, you’re trying to keep your own sanity and reputation, else you’re out. On my initial round through all the characters, I tried to play as though it was real life. I wanted to see what would happen if I made choices similar to my online social media habits to see how I’d fare. I quickly came to realize that this tactic wouldn’t work. For example, when playing as a Paladin, I had the option to block my troll opponent, but not one that let me choose to end the conversation politely or agree to disagree. Then I tried to get strategic; it’s just a game, right? I tried a few mudslinging options, but whenever I chose an option that I didn’t believe in it harmed my reputation. I felt a little dirty. Was part of the point of this game to show how harmful that type of behavior is? Somewhat lucky for me is that when your reputation and/or sanity levels are super high, you get friendlier options to choose from, like forgive past mistakes. One of my big problems with the game: the options presented often don’t match the ongoing battle with the troll. For example, the troll says “It’s not like online harassment is hurting anybody,” and two of your four options are, “Forgive past mistakes,” and “Defend your opponent from attacks.” For a game studio which aims to include deductive reasoning and probability in its games, I found myself disappointed. Also, after a few rounds, it feels like you’ve exhausted any new rebuttal options and keep seeing the same one come up over and over again. Overall, I’m not sure who the market demographic is for the game. Sure, I paid money for it, but I’m not entirely certain who else would. I don’t think those embroiled in the existing social media wars will shell out for it and at an $8 price point, it seems a little pricey for a novelty game for those not in the know. The pixelated characters and chiptune music do attempt to make it light and fluffy, so maybe at its best, it’s a teaching tool.